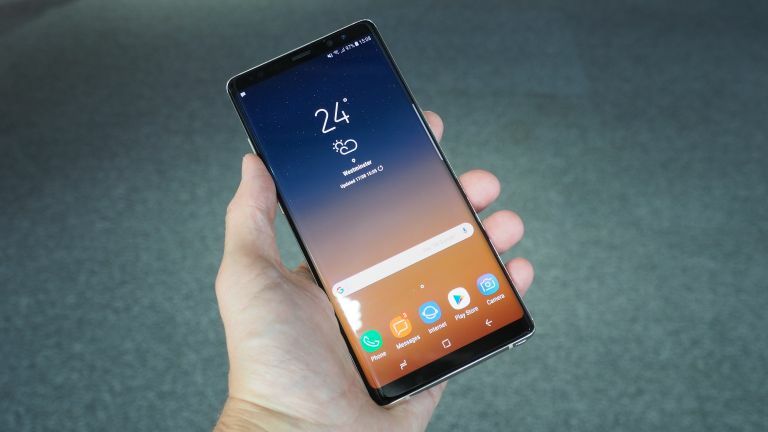 The Samsung Galaxy Note 9 is expected for reveal on August 9 at the Unpacked event and according to a new leak it should arrive packing enough speed to leave the iPhone X in its wake. According to a new benchmarking score for an Exynos 9820, Apple should be worried for its iPhone X. The new chip, which appears to be the follow up to the Galaxy S9's Exynos 9810, is likely to make an appearance in the Galaxy Note 9 as it was listed in a device called SM-N960X. The Galaxy Note 8 was called the SM-N950, so it also seems rather likely that this new name is for another follow-up. But how fast was it? For the multi-thread score it smashed the iPhone X with a whopping 12,246, leaving Apple's flagship behind at the 10,127 mark. For single thread the apparent Note 9 came in at 4,089, just behind the iPhone X at 4,207, but beating the Galaxy S9+ which tops out at 3,692. Furthermore, this was tested with just 4GB of RAM when Samsung is almost certainly going to put in 6GB or even 8GB, according to rumours so far. These scores are a great jump from a previous benchmark result which had the same device using the current Exynos 9810. This had a single core score of 3,716 and a multi-thread of 8,984. The question we're left with is why has Samsung tested the older chip and this new one on the same phone? Perhaps there will be multiple options available for those that don't mind spending more for that extra power boost. Or it could be a region based release plan. Or perhaps it tried the older chip and decided it just wasn’t zippy enough. We’ll find out at the reveal event on August 9. See you there.